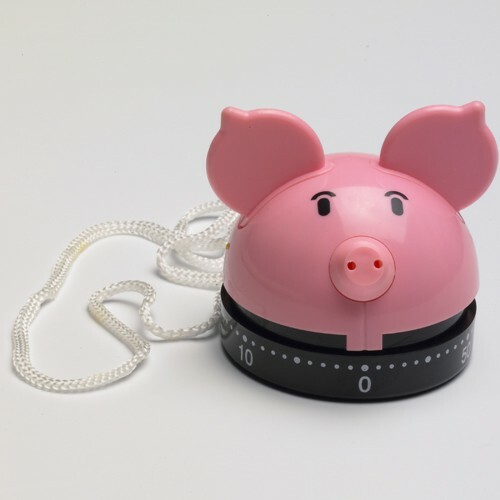 60 minute SPAM® Brand pig timer with SPAM® imprint in blue behind ears. This item is a great addition to any kitchen. Convenient carry strap and directions included.